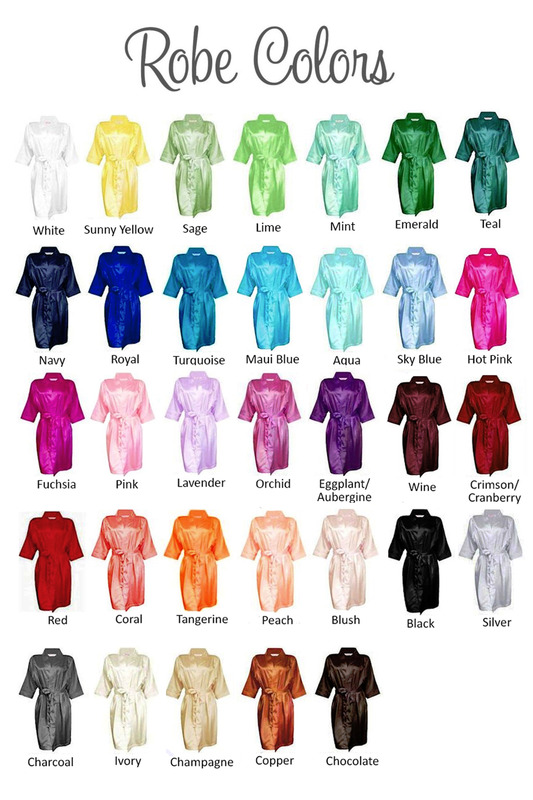 Luxurious satin robe with "Bride" in script, clear rhinestone. The beautiful silky satin has a touch of spandex to add comfort when wearing. Available in several fashionable colors and bridal party titles. 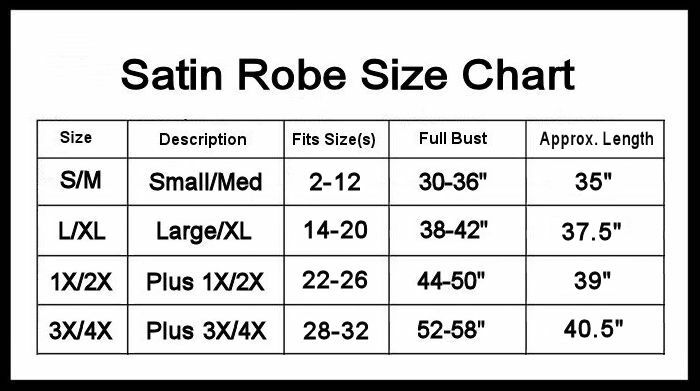 See size chart for sizing options.